Nervous jitters makes Khan lose sleep. 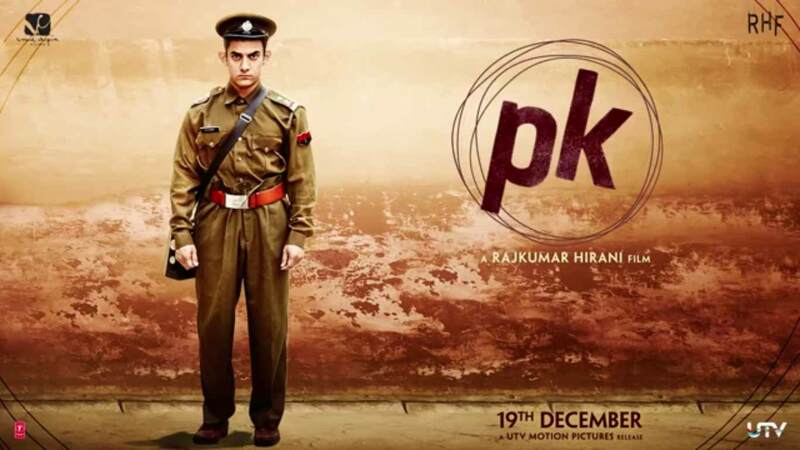 NEW DELHI: Director Rajkumar Hirani’s much awaited film ‘PK’ starring Aamir Khan will have the biggest opening of any film in Bollywood: this coming Friday, December 19, the as yet ‘mystery plot’ family entertainer/drama/sci-fi/loony bin caricature will be released in around 5,200 screens in India and 820 screens overseas. While the gamble to release the film close to the end of the year means that collections will surely be spread over a span of two years, it also means that PK faces little competition at the box office as no major films are slated to be released at the same time. However, the greater number of screens in India also means that while PK is assured of tremendous opening weekend, poor word of mouth and criticism could mean the film could sink into oblivion sooner. While it’s a no-brainer that the film will slip past the Rs. 100 crores mark in the twinkling of an eye, in perhaps the first three days itself, the ultimate goal for the filmmakers, as being circulated in some media, is to ultimately go past the Rs. 300 crore mark. For Aamir Khan though, it’s also a seminal moment in his career because of the strategy adopted to release the film: the almost maniacal amount of secrecy, compounded by the mixed messages that have come from the acting and production crew, along with release of teaser posters and videos for the last five months, have made the public expect grand things from the film. The public also may have made up their mind about the film, because of the sudden surge of posters and videos that the film released suddenly in the last couple of months. And that perhaps might not have been the best strategy for PK. If the film doesn’t match up to expectations, gets poor reviews from the media and public, it’s likely the film will still crawl over the Rs. 200 crore mark easily, but more importantly, might harm the impeccable reputation of Khan and Hirani, who have proved to be the golden boys of the industry. Criticism for Khan will prove to be damaging as he would think twice of his choice of films the next time around, and the strategy to market it.